ect at application, and provide a surface matrix that acts as a second skin, protecting the lesions from external aggression and allowing the progressive release of the actives. 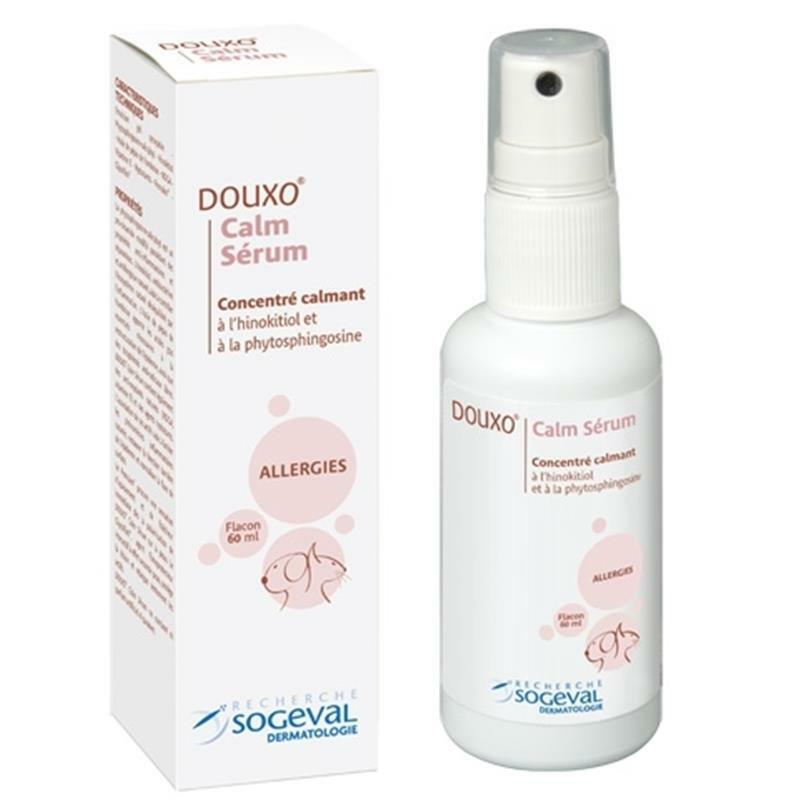 DOUXO® Calm Gel contains no articial fragrance or parabens. External use only. Spray directly on the skin by holding the pump approximately 8 inches from the lesion. The veterinarian’s recommendations should be observed. It is generally recommended to use once a day until disappearance of the lesions. num Liquidum, Polysaccharide Gum 4, Butylene Glycol, Peg-8, Glycerin, Cyclomethicone, Raspberry Seed Oil, Cyclopentasiloxane And Dimethicone, Tocopherol, Phenoxyethanol, Acrylates/c10-30 Alkyl Acrylate Crosspolymer, Hydroxyethyl Acrylate/sodium Acryloyldimethyl Taurate Copolymer And Polysorbate 60, Sodium Hydroxide, Sodium Dehydroacetate, Hinokitiol, Phytosphingosine SLC, Nordihydroguaiaretic Acid.